Draft: 2011, Chicago White Sox, 23rd rd. Michael G. Marjama…played two seasons (2009-10) at Sacramento City College, where his head coach was Mariners Director of Player Development, Andy McKay…in 2010, hit .329 (53x161) with 29 runs, 9 doubles, 1 home run and 30 RBI in 38 games…played one season (2011) at Long Beach State University, batting .290 (63x217) with 21 runs, 8 doubles, 4 triples, 1 home run and 27 RBI in 56 games. MLB Totals - Went 3-for-9 (.333) with 1 run, 1 double, 1 home run and 1 RBI in 5 games with the Mariners... Debut - Made his Major League debut as a defensive replacement (catcher) on September 3 vs. Oakland... First Things First - Made his first Major League start on September 27 at Oakland, going 2-for-4 with a double…singled to left in the 5th for his first career hit... Goodbye Baseball - Hit his first career Major League home run (a solo home run) in the 8th inning on October 1 at Los Angeles-AL... Seattle-Bound - Acquired by Seattle along with RHP Ryan Garton from Tampa Bay for minor leaguers Anthony Misiewicz (lhp) and Luis Rengifo (inf) on Aug. 6... Rainier Land - Hit .167 (13x78) with 5 runs, 3 doubles, 1 triple, 3 home runs and 12 RBI in 21 games with AAA Tacoma... Durham Report - In 72 games with AAA Durham (Tampa Bay), hit .274 (72x263) with 32 runs, 16 doubles, 1 triple, 9 home runs, 21 walks and 51 RBI. Hit .286 (78x273) with 38 runs, 25 doubles, 1 triple, 5 home runs and 38 RBI in 73 games with AA Montgomery…batted .304 (65x214) with 24 doubles, 1 triple, 4 home runs, 34 RBI, a .356 on-base percentage and a .481 slugging mark vs. right-handed pitchers…against lefties, hit .234 (15x64) with 2 doubles, 1 home run, 4 RBI, a .290 OBP and a .313 slugging mark…tallied 20 multi-hit games, including a season-high 4 hits twice (5/21 at Birmingham & 7/14 vs. Tennessee)… from June 6 - July 15, hit safely in 27-of-32 games, batting .336 (42x135) with 22 runs, 13 doubles, 1 triple, 3 home runs and 19 RBI. In 90 games with advanced-A Charlotte, hit .302 (101x334) with 46 runs, 22 doubles, 4 triples, 9 home runs and 52 RBI…hit safely in 15-of-his-first-18 games (4/12-5/23), batting .365 (23x63) with 10 runs, 2 doubles, 1 home run and 8 RBI…recorded 29 multihit games…vs. lefties, hit .327 (35x107) with 11 doubles, 1 triple, 4 home runs and 22 RBI. Spent the season with advanced-A Winston-Salem, batting .266 (66x248) with 26 runs, 16 doubles, 2 triples, 3 home runs and 17 RBI in 70 games…after batting .223 (31x139) with 5 doubles, 1 triple, 2 home runs and 9 RBI in 40 games in the first half, hit .321 (35x109) with 11 doubles, 1 triple, 1 home run and 8 RBI in 30 games in the second half. Hit .277 (104x375) with 48 runs, 20 doubles, 1 triple, 6 home runs and 46 RBI in 97 games with A Kannapolis. Split the season between rookie league Great Falls and A Kannapolis…in 9 games with Great Falls, hit .250 (9x36) with 4 runs, 2 doubles, 1 triple, 1 home run and 9 RBI…hit .306 (26x85) with 6 runs, 5 doubles, 1 home run and 8 RBI in 23 games with Kannapolis. Started his professional career with rookie league Bristol, where he hit .221 (19x86) with 6 runs, 2 doubles, 1 triple and 7 RBI in 24 games. July 6, 2018 C Mike Marjama retired. June 19, 2018 Tacoma Rainiers placed C Mike Marjama on the 7-day disabled list retroactive to June 18, 2018. April 20, 2018 Seattle Mariners optioned C Mike Marjama to Tacoma Rainiers. November 23, 2017 C Mike Marjama assigned to Tigres del Licey. September 1, 2017 Seattle Mariners selected the contract of C Mike Marjama from Tacoma Rainiers. 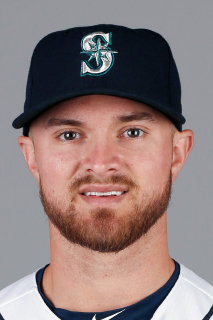 August 7, 2017 C Mike Marjama assigned to Tacoma Rainiers. April 4, 2017 C Mike Marjama assigned to Durham Bulls. February 24, 2017 C Mike Marjama assigned to Tampa Bay Rays. September 30, 2016 Montgomery Biscuits activated C Mike Marjama from the 7-day disabled list. July 21, 2016 Montgomery Biscuits placed C Mike Marjama on the 7-day disabled list. Quad injury. April 5, 2016 C Mike Marjama assigned to Montgomery Biscuits from Charlotte Stone Crabs. April 1, 2016 C Mike Marjama assigned to Tampa Bay Rays. April 6, 2015 C Mike Marjama assigned to Charlotte Stone Crabs from Montgomery Biscuits. January 30, 2015 C Mike Marjama assigned to Montgomery Biscuits. January 23, 2015 Chicago White Sox traded C Mike Marjama to Tampa Bay Rays for Player To Be Named Later. April 1, 2014 C Mike Marjama assigned to Winston-Salem Dash from Kannapolis Intimidators. March 6, 2014 C Mike Marjama assigned to Chicago White Sox. July 17, 2013 Kannapolis Intimidators activated C Mike Marjama from the 7-day disabled list. July 6, 2013 Kannapolis Intimidators placed C Mike Marjama on the 7-day disabled list. May 18, 2013 Kannapolis Intimidators activated C Mike Marjama from the 7-day disabled list. April 29, 2013 Kannapolis Intimidators placed C Mike Marjama on the 7-day disabled list. July 25, 2012 C Mike Marjama assigned to Kannapolis Intimidators from Great Falls Voyagers. June 18, 2012 Mike Marjama assigned to Great Falls Voyagers from Bristol White Sox. July 5, 2011 Mike Marjama assigned to Bristol White Sox from Chicago White Sox. July 4, 2011 Chicago White Sox signed C Mike Marjama.